This summer marked the second anniversary of Mexico's turbulent presidential elections. Jeremy and I arrived to live in Mexico City in the midst of the madness. The country was divided, its citizens were exhausted by an emotional and long campaign season, and mega-marches and rallies for leftist candidate AMLO (as locals call him) occurred nonstop. 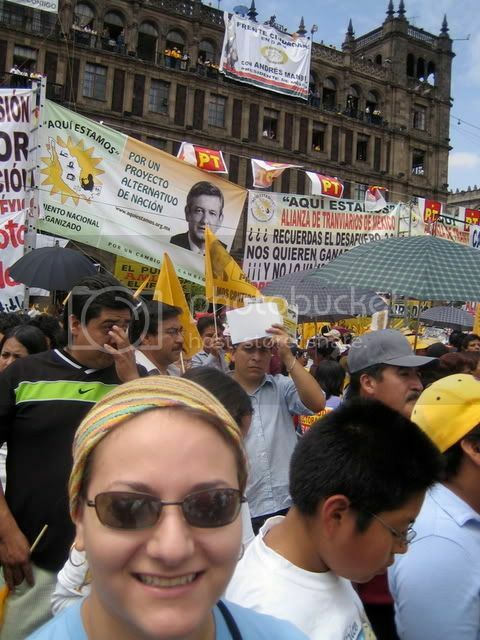 We basically lived in the Centro Historico or Zocalo area, as we covered the chaos. Though we got soaked by the rain, stomped on & pushed by hundreds of marchers, and trapped in human traffic, we witnessed history from the front lines. 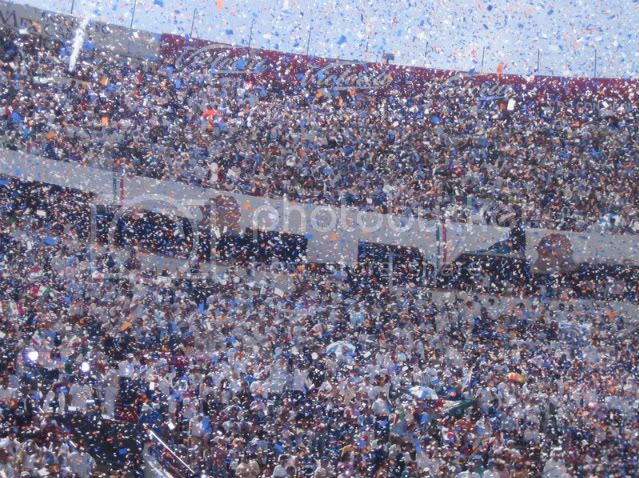 For the first time in awhile, campesinos had faith and hope in political change. 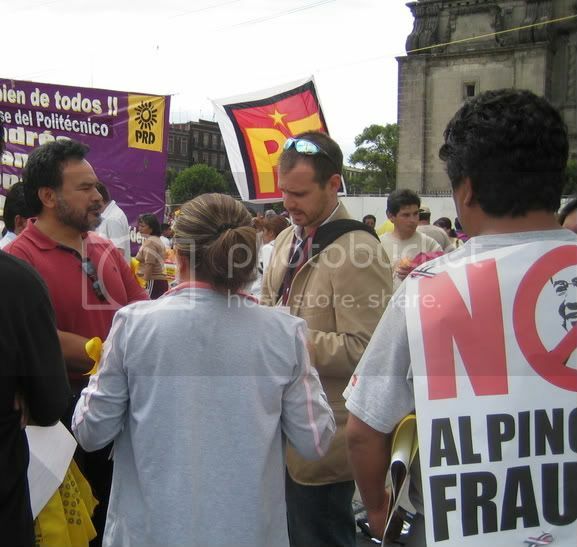 Hundreds of campesinos who supported AMLO were bused to a rally we covered in Puebla. 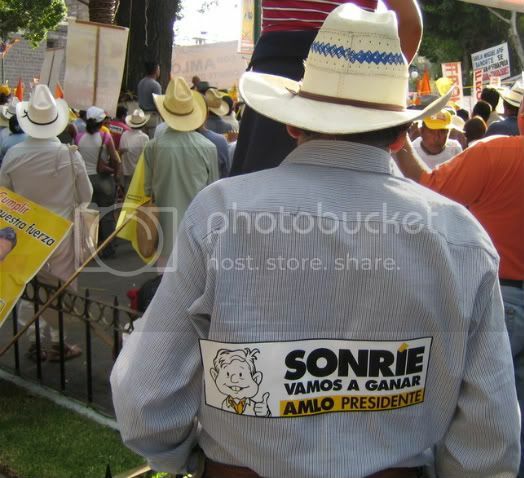 This man wore AMLO's famous campaign slogan, "Smile, we're going to win." 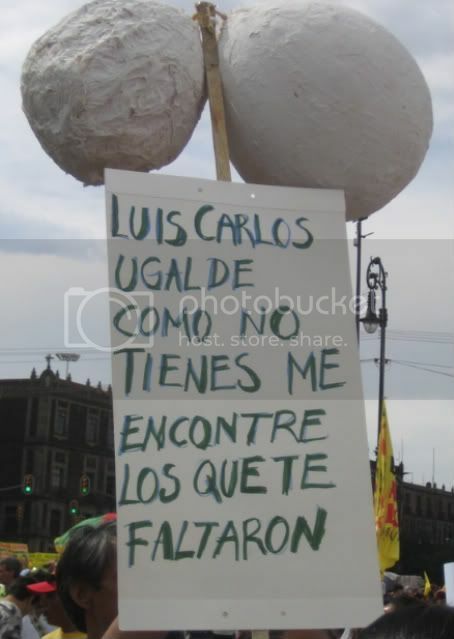 "Luis Carlos Ugalde (former president of the Federal Electoral Institute) I've found what you are missing." 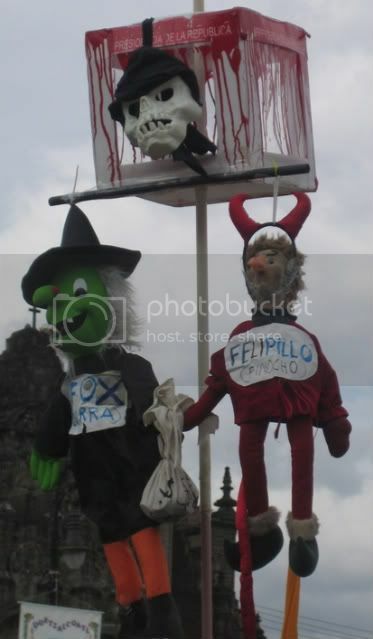 The witch represents Ex-President Vicente Fox and the devil represents current Mexican president Felipe Calderon. Jeremy interviews angry citizens against electoral fraud. Soon after this photo, a huge crowd gathers around him wanting to share their points of views. 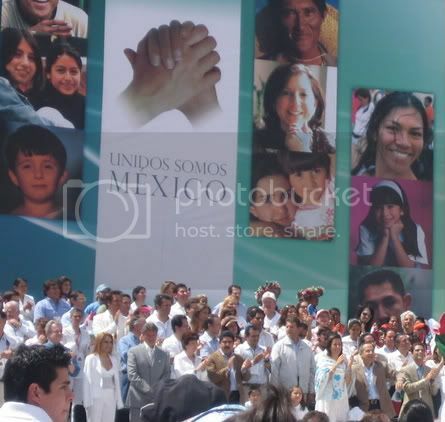 Calderon is on the right side with a brown suit and the first lady is to the left wearing white and blue.